Hotels gain fame and notoriety for all kinds of reasons, and celebrities are one of them. Whether a hotel provides accommodations for a well-known star or turns itself into a movie set– if a celebrity has been there, the fans will follow. 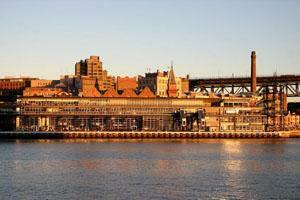 Hotels made famous by the celebrities who have frequented them have become popular tourist destinations themselves. The next time you travel, follow in the footsteps of the rich and famous and book your accommodations at one of these luxurious hotels. A stay at any one of them will make any traveler momentarily feel like a star. 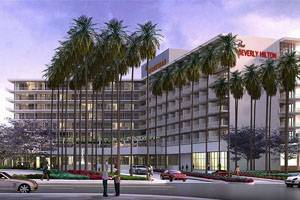 If you are hoping to spot a celebrity in Beverly Hills, the Beverly Hilton Hotel in California is a good place to look. Since its grand opening in 1953 it has been a home-away-from-home to celebrities, royalty, and many famous politicians. This beautiful hotel has also hosted an impressive number of red carpet events including the Golden Globes, the Academy Awards, and the first-ever Grammy’s, just to name a few. 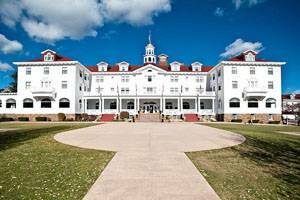 Famous author Stephen King was instrumental in putting the Stanley Hotel in Estes Park, Colorado, on the map. A ghostly encounter he had here served as the inspiration for his book, “The Shining.” Today the hotel features several ghost tours which include a visit to room #217, the room occupied by Stephen King during his stay at the Stanley Hotel. 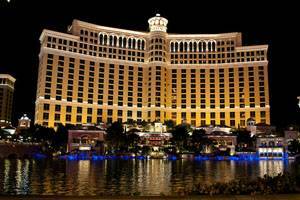 Known throughout the world for its large size and fine accommodations, The Bellagio Hotel in Las Vegas is no stranger to celebrities. It has been the film location for several Hollywood movies – perhaps the most notable one being Oceans 11, starring the likes of George Clooney, Brad Pitt, and Julia Roberts. Scenes from the movie take place in both the hotel’s casino and its very own Picasso restaurant. 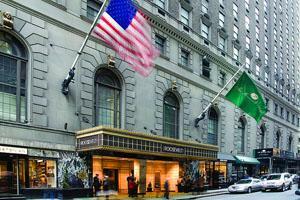 The Roosevelt Hotel is another one of New York City’s hotels made famous by Hollywood celebrities. It has provided rich accommodations to a lengthy list of well-known names and has been an instrumental backdrop in several movies. Many scenes for Maid in Manhattan starring Jennifer Lopez were filmed at The Roosevelt Hotel– and it was a film location for several other movies such as Presumed Innocent, The Hoax, 1408, Wall Street, and many more. If you ever have a chance to visit Australia, you may be able to find cheap hotels in Melbourne in which Jensen Button has stayed in the past. For those less familiar, Button is a Formula 1 racecar driver who has been seen staying at the Grand Hyatt in Melbourne. It is easy to see why you can catch this speeding celebrity in this luxury hotel, the amenities are almost endless and the resort is absolutely breathtaking. All room pricing aside, if you are visiting Australia and want the best chances to stumble into a celebrity, you may want to choose the 5 Star Park Hyatt in The Rocks Hotel. 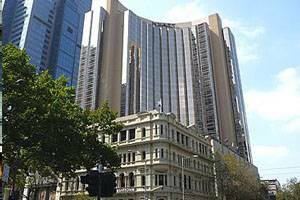 This hotel has the most expensive suite in Sydney, hands down. Celebrity guests can pay anywhere from 7,000-12,000 per night for the Governor suite. Just a few names to mention who have stayed at the Park Hyatt are: Nicole Kidman, Jerry Seinfeld, Bette Midler and even Elton John. The suite offers two amazing views; one side of the room looks out to the Sydney Harbour Bridge and the other end looks out towards the Sydney Opera house. This post was written and provided by freelance writer and consultant for Expedia, Erica Gustafson. She loves to travel and write about her experiences. I love celebrities!!! I have a tripped book to New York and I’m going to be staying at the Roosevelt. I hope I see someone famous! I really remember a lot of these hotels in movies well. especially the Bellagio. Yeah I don’t think I’m ever staying at that hotel that inspired The Shining. I’ll pass! The Roosevelt is such a cool hotel. I used to walk by it everyday when I lived in NYC. I would love to stay at every single of these hotels mentioned, however my budget can’t swing it! It’s interesting to know which hotels to avoid or flock to depending on whether you fall for the celebrities antics or not.